Get creative and have a good one! Love those etched glass storage jars. Thanks Lori (and Martha). I use those and just have ugly adhesive labels. Time to get the etching cream out. Fun round up! Have a good weekend. Great ideas! I am sorry about the change in your plans but you need to let yourself heal. You are so creative and artistic I know you will find other outlets. I bookmarked the embroidery dictionary! Thanks so much! My sister is coming for the weekend! Yay! 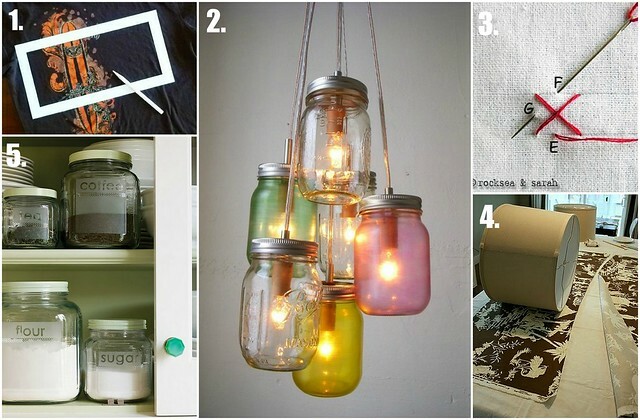 I love those etched glass jars! That is a cool idea! Enjoy the rest of what Is left of your "Birthday Weekend"!